Some power adapters for Linksys devices have different adapter modules for regional power sockets. The mechanisms for attaching or releasing the modules are different depending on the model of the power adapter. This article will teach you how to attach or release the modules to or from your power adapter. Check the module socket design on your power adapter and select from below for the specific instructions. 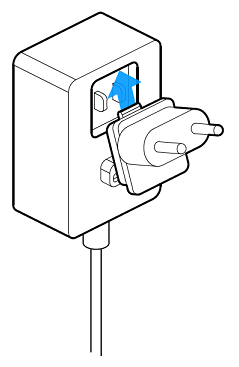 Align the adapter module with its back side (opposite the plug side) facing the socket side on the power adapter. Slide the module in until you hear the lock click. You’ve now successfully attached the module into your power adapter. 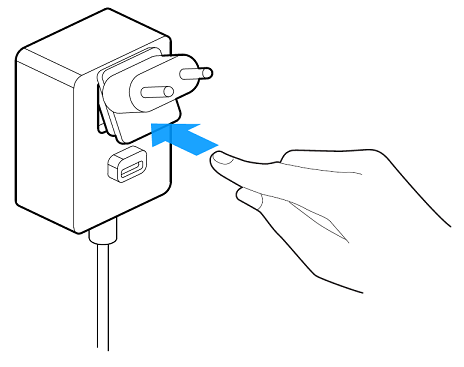 Using your other hand, grip the module firmly and slide it out to the opposite direction of the release button. You have now successfully released the module from the power adapter. 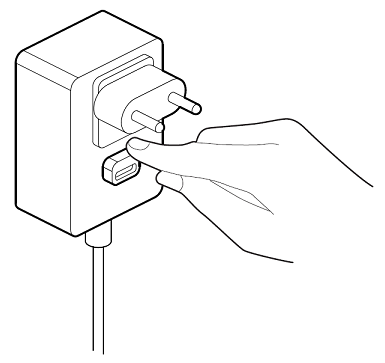 Lock the hook edge behind the module socket onto the power adapter. 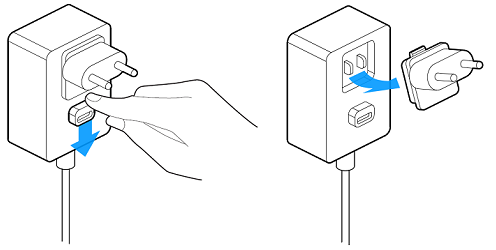 Push the opposite edge towards the socket until you hear the lock click. 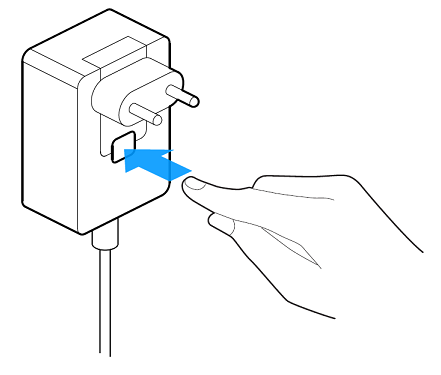 Locate the open / release button below the socket on the power adapter. Press the button firmly until the module pops out.